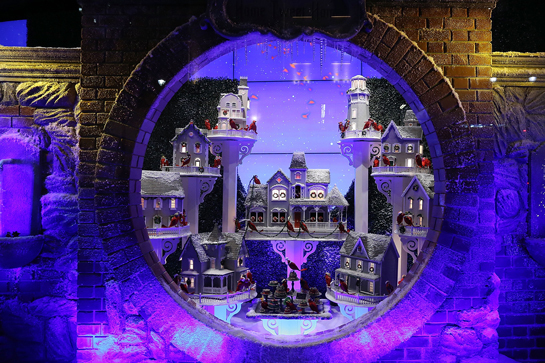 The holidays in NYC can be a crazy, taxing, madhouse of a time, filled with lost tourists and endless lines, but one thing I think everyone can agree to be excited about is the famed holiday window displays. 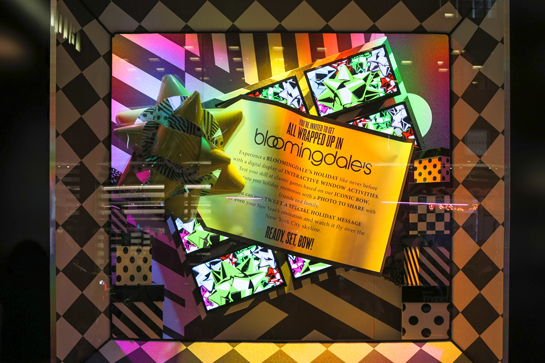 Every year, the major department stores of NYC put everything they’ve got behind designing incredible window displays to celebrate the holiday season, and 2014 is no different. 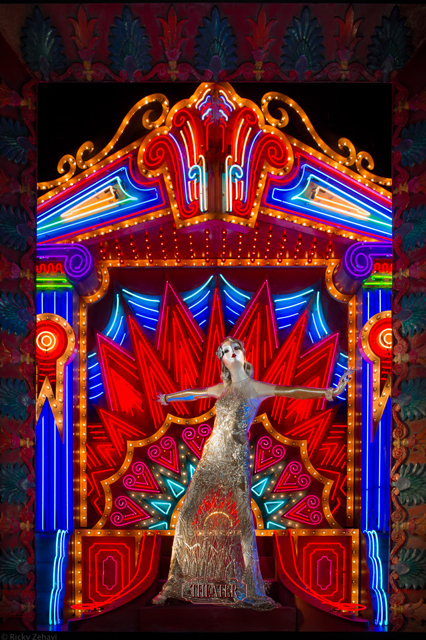 This year Barneys New York has a “Baz Dazzled” design created by Hollywood director Baz Luhrman (think The Great Gatsby and Moulin Rouge). Bergdorf Goodman is celebrating with a display of custom gowns by renown designers like Dolce & Gabanna & Julien Macdonald, as well as a celebration of the arts, including literature, architecture, theater, painting, and music. 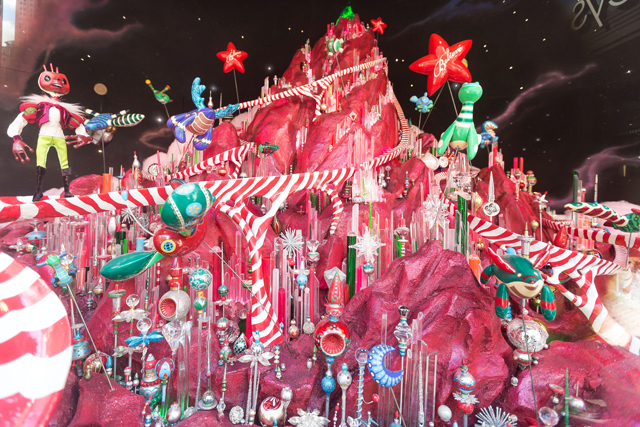 Macy’s will be celebrating the holiday’s with a futuristic depiction entitled “Santa’s Journey to the Stars”, involving depictions of how other plants partake in holiday activities. 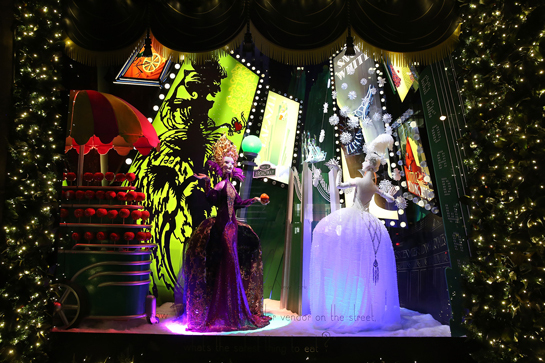 Lord & Taylor will celebrate 100 years in New York with a look inside an enchanted mansion on the night before Christmas. 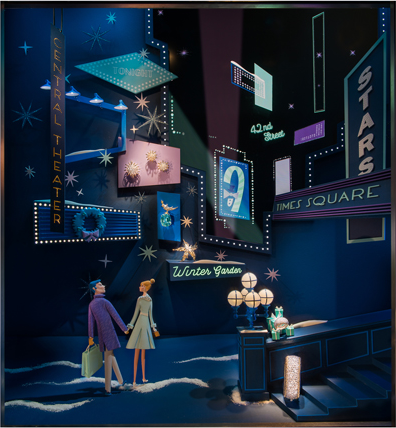 Tiffany & Co. will celebrate the energy and sophistication of NYC during the 1950’s & 60’s. 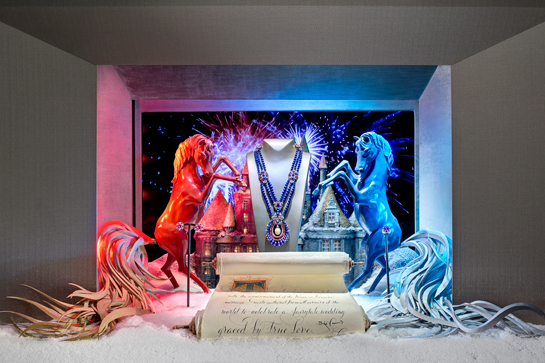 Van Cleef & Arpels will celebrate the holiday’s, as well as their 75th birthday, by telling a magical French fairytale embedded with fantastic jewels. 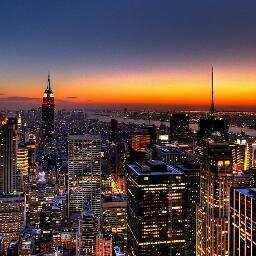 This entry was posted on Monday, December 1st, 2014 at 12:34 pm and is filed under Accessories, Art, Fashion, New York City Events. You can follow any responses to this entry through the RSS 2.0 feed. Both comments and pings are currently closed.